A unique diploma is being launched to offer businesses and organisations the opportunity to expertly train staff to handle unexpected emergencies and crisis incidents that could tarnish reputations and threaten their survival. FIOR – headed by two of Scotland’s experienced former police and fire chiefs – provides a bespoke service to train managers to become confident leaders in the highly pressurised environment of a critical situation such as a repeat of the Clutha helicopter crash, public health scare or serious fire. The Diploma of Integrated Emergency Management is unique in the UK and aims to address today’s new and challenging threats to business continuity. The programme is fully recognised by Stirling University and provides 22 weeks of tuition which is lead by acclaimed experts in the field who apply ‘trade craft’ merged with theory. FIOR was founded by Joe Holden and Tommy Mann, MBE, who have operated for more than two decades at Police and Fire Service executive management levels across Central Scotland, UK national and international levels. Joe and Tommy are highly experienced and trained commanders within the Gold–Silver–Bronze command structure used by the UK’s emergency services to establish a hierarchical framework for the command and control of major incidents and disasters. Joe said the Diploma course offered by the FIOR team provides unrivalled ‘trade craft’ to managers who are responsible for Incident Response handling to ensure a new crisis does not affect a firm’s decades-long reputation, or perhaps ensure it can survive a crisis. “There are differences between being a manager and a leader. How an individual responds with the ‘golden hour’ at the start of a critical incident can make the difference between preventing a crisis becoming a disaster. “We very much believe that companies need to prepare people for the challenges and strains of leading or working within an Incident Management team and not just prepare a plan. Trained people will make a poor plan work – poorly trained people will not make a good plan work. 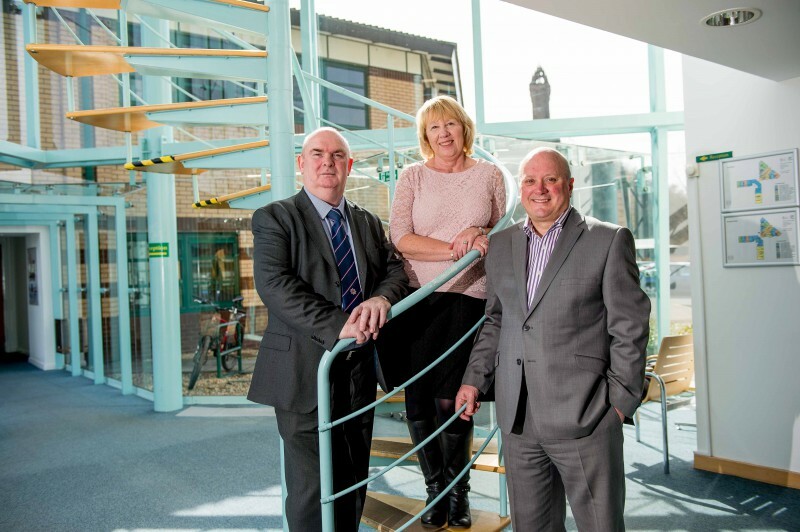 Stirling-based FIOR (Gaelic for true, strong and real) has seen a surge in growth for its specialist services, which also includes fire safety, security planning and training, since the business was formed in 2009. FIOR first piloted the Diploma last year, which saw eight students drawn from the public and private sectors, graduate with their qualifications. This year FIOR are running a programme of bi-monthly student intakes, commencing in May. As well as including a three-day residential scenario training exercise, the Diploma gives successful students 30 access credit points to their MSC in Professional Learning & Leadership. Dr Richard Dockrell, School of Education, Stirling University, said: “The Diploma represents a theory informed and practiced focused response to the Scottish Government’s strategy for dealing with emergency situations. In fact it has secured a significant training contract – its largest contract win to date – with Edrington, and will see Fior deliver incident leadership training to management teams in offices in South Korea, Taiwan, Singapore, China, New York, Dominican Republic and Spain over the next 12 months.